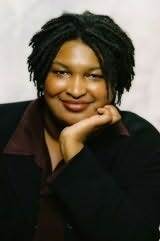 Selena Montgomery is the award-winning author of several romantic suspense novels. Selena won both the Reviewer's Choice Award and the Reader's Favorite Award from Romance In Color for Best New Author, and was featured as a Rising Star. "Part of Ms. Montgomery's strength is her characterization. [Her characters] are solid creations, complex individuals who are breathing flawed individuals. The world that they live in is not the romanticized world of James Bond, but a dangerous, real world.